Kitchen storage is one of the main aspects that can make or break your interior design. And that’s especially true if your kitchen is rather small. Cramping up the space with cabinets can quickly turn your kitchen into a closet rather than a comfortable and tasteful area of your home. One of the better ideas for storage in a small kitchen are the open shelves. 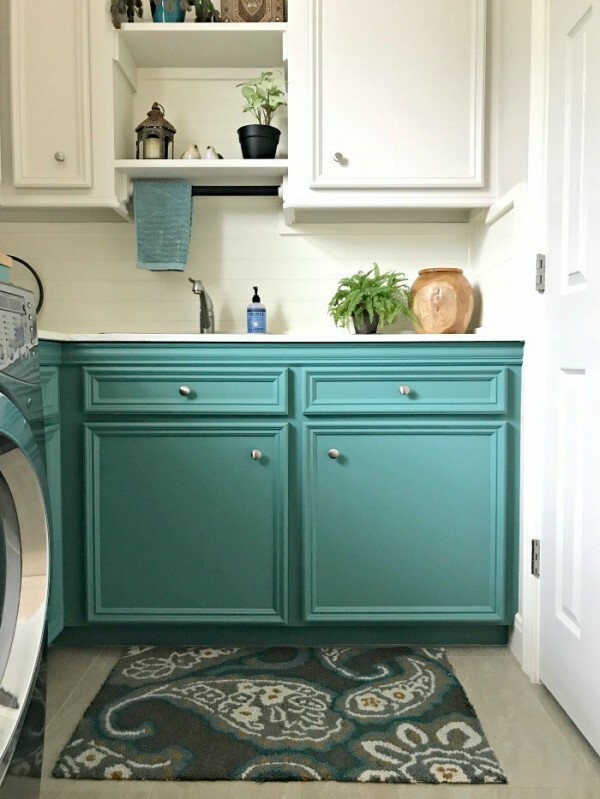 You can even have the same cabinets but without the doors and it immediately opens up the space and makes it look bigger. 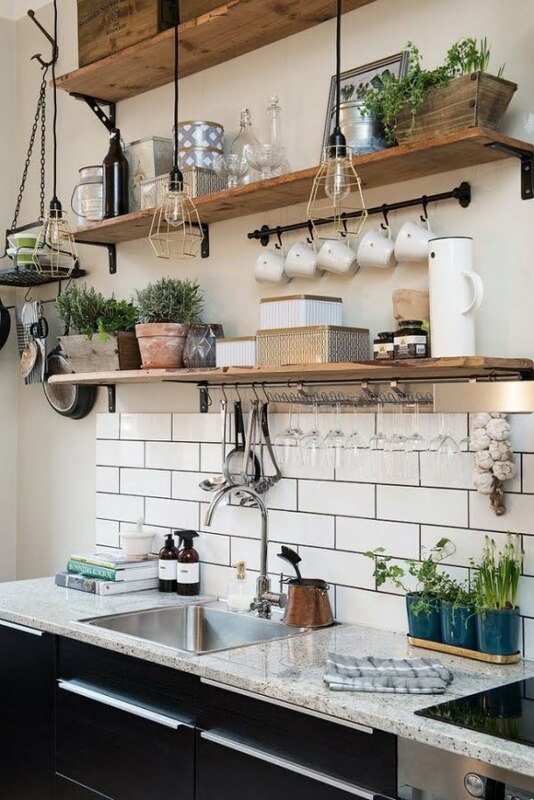 So here are 25 brilliant kitchen designs with open shelves to convince you. This space could have a cabinet but it would immediately make the kitchen look so much smaller and limited. Instead, the reclaimed wood shelves leave it open and give it a rustic style accent. The same idea replaces all cabinets and you don’t miss them at all. All white shelves blend into the white wall leaving the kitchen bigger and you can create an accent with simple dishes and utensils – very functional. Another wonderful example of open wood shelves. Brass is trendy as a material so using it for open shelves will make your kitchen fashionable. Also a wonderful idea of suspending the shelf racks from the wall. Open shelves are easy to install as you no longer have to integrate the kitchen hood into cabinets. Consider also adding small shelves to available small spaces for extra storage and accent. Since you can install as many shelves as you like, you can very efficiently use the vertical space. Here’s an example of a doorless cabinet that leaves the kitchen space open. Having so many closed cabinets would really cramp up the space. Open shelves allow you to create the “good clutter”. You can frame a kitchen window with open shelves without making it look too tight. If you do have cabinets, open shelves can break them apart for balance. Having a full wall of cabinets would destroy the design of a small kitchen, but not when it’s an open shelf rack. Make use of the corners as well. A unique idea to add transparent glass shelves against the window.